According to a study done by Dr. Barbara Lee Peterlin, director of headache research at Johns Hopkins University School of Medicine, people with a high body-mass index (BMI) are 81% more likely to experience episodic migraines, compared to those with a lower BMI. Out of those, white women under the age of 50 are most likely to experience these headaches. 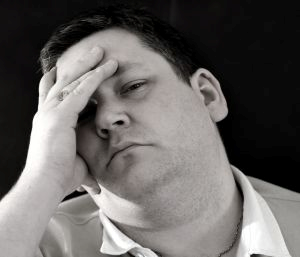 While the study discusses that obesity does not cause episodic migraines, it demonstrates that obese people are at a much greater risk for them. In another study analyzing chronic headaches, lead by Marcelo E. Bigal, MD, PhD, a neurologist at the Albert Einstein College of Medicine in New York, he found that “Obesity is a risk factor for chronic daily headaches.” He further discussed that obese people not only develop chronic headaches more frequently, but they also suffer from more nausea, more severe headaches, and more missed days from work or school than people of average weight. The study f ound that out of over 3,000 participants, those with higher BMIs were 30 percent more likely to have chronic daily headaches, which are defined as at least 15 headaches per month that each lasted for a duration of at least four hours. Compared to people with average weights, 25 percent more obese people complain of chronic headaches. As well, obese people were shown to be 22 percent more likely to complain that the headaches were severe compared to those of normal weight.